Don't have an email address? We can help! If you do not have an email address, you can still get you a username and password. Submit your information by clicking on the blue "form" icon on the left. 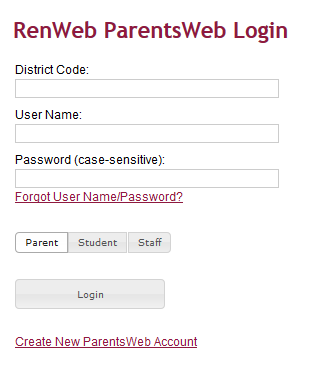 Give us 24 hours, and you will be ready to log in and monitor your child's grades. Please note: You will use the same username and password for all of your children. Once we have issued your login information, go to the FACTS page. Our District Code is ksa-ut. Enter your login information. Contact the school office at 801-486-0741 or visit Mrs. Roy after school.